These are really simple and delicious to make. 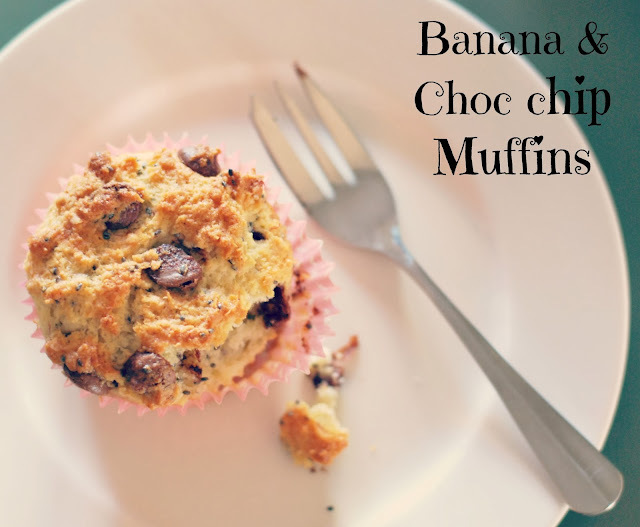 I'm not sure where the recipe came from, passed on from another mum maybe, but it's just a basic muffin recipe and lunchbox friendly. I've also added a couple of tablespoons of chia seeds for extra goodness. I'm going to try another combination with some frozen raspberries and white chocolate so I'll let you know how that goes. Until then, enjoy these tasty little treats!! 1. Preheat oven to 180C and line a 12 hole muffin tin with paper cases. 2. Place flour into a large mixing bowl and stir through the coconut, sugar and seeds. 3. Combine the mashed banana, melted butter and milk. Add this to the dry ingredients and stir to combine - but don't over mix! Gently fold the chocolate chips through. I used milk chocolate chips, but dark choc bits would also be nice. 4. 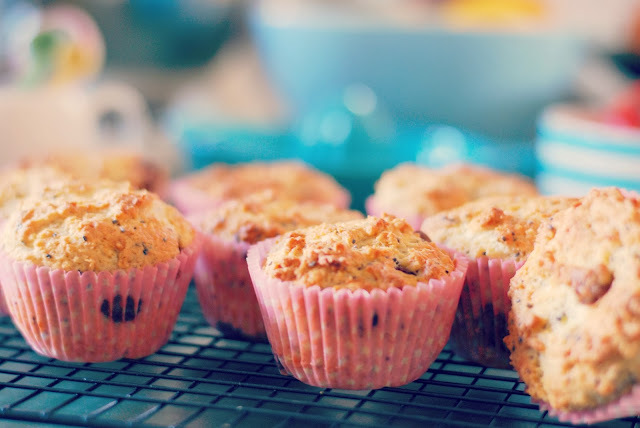 Divide the mixture evenly into the muffin cases and bake for 20 minutes or until golden brown. 5. Allow to cool slightly before transferring to a wire rack to cool. They are really nice to eat just out of the oven when they're still warm and oozing chocolatey goodness. Enjoy!